Dashing from one thing to the next? Constantly running late? Feeling overwhelmed by everyday events, or surprised by forgotten appointments? This is modern-day parenting: too much to do in too little time. As a professional organizer and a certified parent educator, I see parents and families bump into the time problem frequently. Many people (maybe even you) assume that the feeling of being overwhelmed is a fact of life that can’t be helped. Fear not – there is hope. A combination of improved time management and engaged parenting can make all the difference in the world. In working with parents, I have noticed three lifestyle changes that offer big rewards in terms of taming your time. I recommend that you focus on one at a time. Why only one? When we try to “fix” everything at once we start off excited and hopeful. And for a while, we can deal with the enormous energy, effort and discomfort required to make major changes. Soon enough, it’s all too much though. We lose steam, our energy drops, and hope turns to disappointment as we let ourselves down. Eventually, we give up and go back to our old ways, feeling defeated and dejected. Focusing on just one of the following three lifestyle changes at a time will enable you to find success and create family harmony in the time you have. 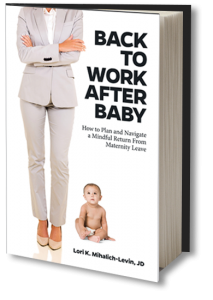 Transitioning from family life to the working world. From our early morning cup of coffee to waking up the children. Checking our work emails to reviewing homework. Reading stories at bedtime to preparing for the next day’s meetings. Life as a parent is filled with transitions. “The first moments of every encounter matter,” notes Julie Morgenstern, New York Times Best-Selling author of six books, including Organizing from the Inside Out. “If you are prepared for the first five to seven minutes of reconnecting, you will buy yourself hours of freedom,” says Julie. That means before our kids wake up and before we pick them up at school, we truly stop “adulting” and transition to parenting. Close out, focus and connect. “You have to stop shoving in one more thing,” says Morgenstern. The false sense of productivity that we feel at pick-up time when we delete one more email or send that last text will actually slow us down. Lack of connection between parent and child leads to misbehavior, and dealing with misbehavior gobbles up time, energy and good will. Children are most likely to cooperate when they feel a sense of connection and closeness with their parent. So focus on drawing firm lines around parenting time: forget about email for the moment, put the phone on airplane mode, stay off the laptop. Doing so will open up opportunities for more connection, resulting in less misbehavior on the part of your children. “Special time” is a period of several minutes set aside every week to focus one-on-one with each child. It’s a date we put on our calendars and show up for, even if our kid has misbehaved. Special time is predictable, reliable and consistent. I like to think of it as the physical manifestation of our unconditional love. How is this a time management tool, when we are already too busy? Building the relationship takes time in the beginning and saves a huge amount of time in the long run by radically reducing children’s misbehavior. Through special time, we gain our kids’ cooperation, help, goodwill and humor. How much smoother would our days be if our family members were more consistently cooperative and helpful? Parents, we are often so hard on ourselves and want to make life easy and smooth for our kids. Being busy, having meaningful work and pursuing outside interests can nourish you as well as your family. Kids are often capable of far more than we realize, though, and begin to grow in new directions when we step out of their way. When Hedge took on a bigger work commitment as PEP’s executive director, her teens stepped up to the plate and assumed more responsibilities, pitching in to cook dinner and contribute to the family chores. Think about the win-win of creating more time in your day by training kids to take responsibility for chores, self-care, and home care. The caveat here is that kids will need time and practice to grow into our standards. If we can learn to love a lumpy bed, appreciate overcooked pasta and not worry about the corners of the living room that didn’t get vacuumed, kids generally won’t mind pitching in. Family life is fluid, rapidly changing and unpredictable – that we know, for sure! Sharpening up our transitions, closing out our work day before we re-enter family life, creating special time each week with our children and sharing the load – these crucial habits will give us the renewable energy we need to keep our family life harmonious, on track and fun. Have device-free time in the morning while kids are getting off to school and again during dinner and at bedtime. Create and maintain a once-a-week special time – one kid with one parent for twenty minutes. Put it on the calendar, let the child direct the activity and watch cooperation increase. Invite kids to help with chores, self-care, and the routines in the house. Learn to love their standards, knowing they will become faster and better as time goes on if we prevent criticism from squashing their desire to help. Make time for self-care. Meditation, exercise, reading and getting together with friends are all renewable energy sources. Don’t overlook them on your parenting journey. Certified Parent Educator, Paige Trevor has spoken to and trained thousands of parents. Through her speaking, training and writing she parents deal with the common, everyday irritations and overwhelm in families. More importantly she guides parents to foster healthy and mutually respectful relationships with their kids to last for the long haul. Paige has appeared on PBS NewsHour and the Kojo Namdi show.” She has spoken to: Discovery, Bloomberg, and hundreds of public, private, and charter schools. 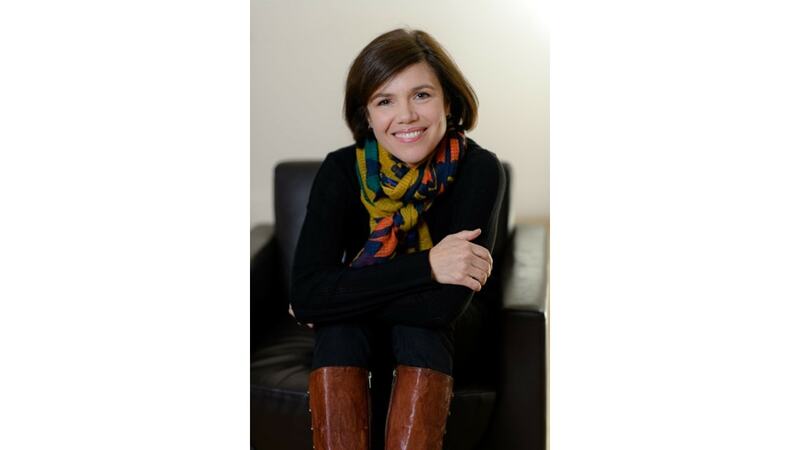 She writes a popular blog, Nifty Tips, and has written award winning articles for the Washington Parent.